Jaylin Eaves was born and raised in Providence, Rhode Island. As one of five, she quickly found her voice as the animated and comedic one of the family. 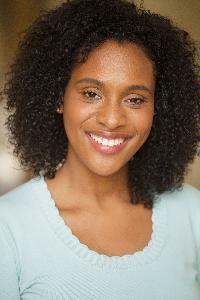 Though she always maintained a passion for acting, Jaylin officially began her career while enrolled at the University of Rhode Island, starring in plays and short films. Shortly after obtaining her degree, Jaylin moved to Los Angeles to fully commit to an acting career. Her peers quickly identified her natural ability to make others laugh and she’s since added stand-up to her list of talents. Jaylin is looking to decorate her acting resume in numerous ways though a career highlight of hers would be to write and star in her own show.